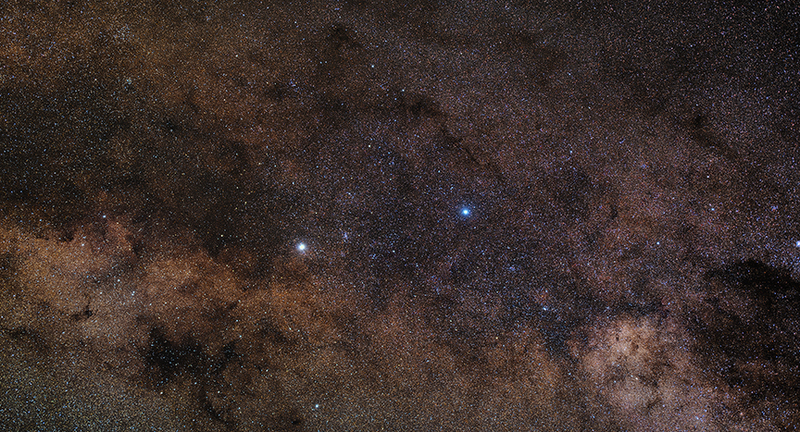 A Chandra study involving long-term monitoring of Alpha Centauri indicates that any planets orbiting the two brightest stars are likely not being pummeled by large amounts of X-ray radiation from their host stars. This is important for the viability of life in the nearest star system outside the Solar System. 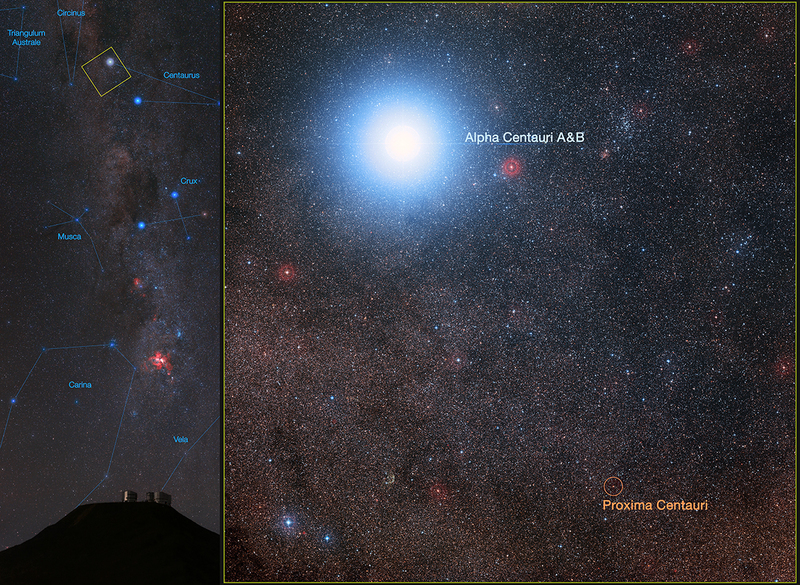 Chandra data from May 2nd, 2017 are seen here, in the context of a visible-light image taken from the ground of Alpha Centauri system and its surroundings. 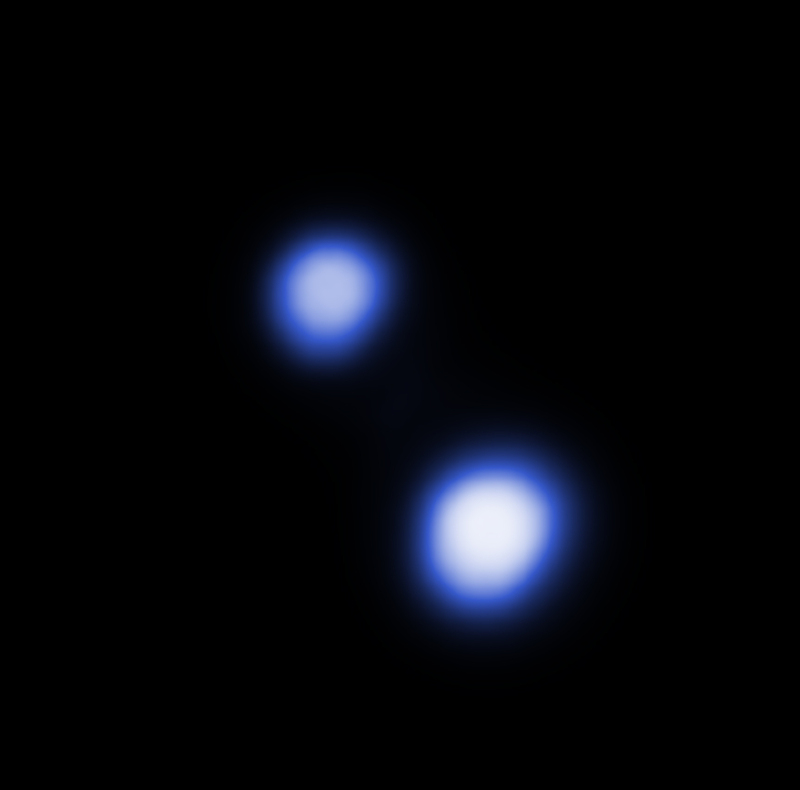 This optical image shows the Alpha Centauri and its distant, faint companion Proxima Centauri in context.